For kids, nothing beats exploring their curiosity through touch, smell, taste, sight, hearing and movement. The idea of a mud pie party may fill grown-ups with fear, but for little ones it’s the perfect play station. It’s also a great way to get kids active and stuck into nature. 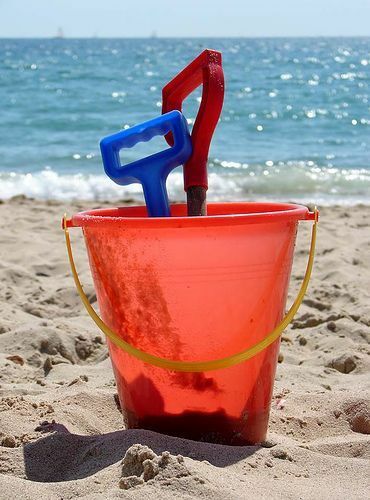 To set up your mud pie station, simply fill beach buckets half way with water. Add a small amount of soil or sand and let them get mixing! Now it’s time to get creative. You can add flower petals and cut grass for that added touch of summer colour or forage for pebbles, sticks or pine-cones for added texture. Recycled food containers or old kitchen equipment make great moulds for mud shapes and building bricks. Tip: Take some mud pie inspiration from the kitchen and create some marvellous mud pie recipes! 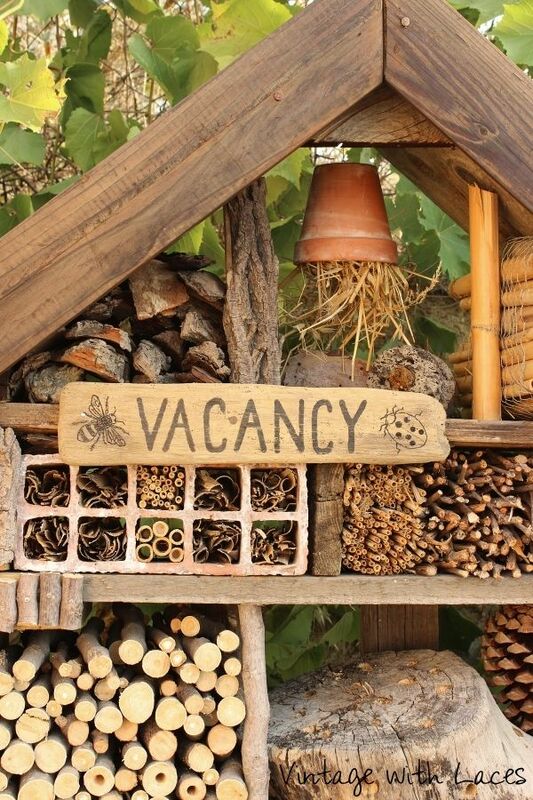 If your little one loves the great outdoors, then step on the wild side and build a nature bug hotel. According to the RSBP, you can build your hotel all year round (although Autumn is abundant with natural materials) and they’re suitable for balconies, patios and small or big gardens. Find a small space in a quiet corner on level ground. Start by building a sturdy structure from old wooden pallets or bricks. Tip: Don’t go higher than 1 metre otherwise it might wobble. Fill the gaps with different natural materials such as straw, moss and dry leaves to create different nooks and crannies for lots of creepy crawlies. Add a roof to keep it dry (old roof tiles work a treat), and surround your hotel with nectar-rich flowers. Finally, it’s time to give your bug abode a name and spend a few crafty hours making a sign. Keep kids fascinated with charts so they can keep track of the wildlife that’s checking-in to their hotel. We all love the feeling of sand between our fingers and toes, especially during the summer holidays, and you don’t need to be by the sea to make your own beach paradise. You can build your own sand pit after a quick trip to the garden centre for a bag or two of sand. Cover the bottom of a pop-up ball pit with sand for a colourful shaded area that’s shower-proof. You could even add a tent and tunnel for a seaside amusement park. Have fun making sandcastles and ball alleys, or have a treasure hunt by burying some pretty shells for your little one to find. Tip: Mix things up for younger toddlers with a sensory dome and hide the balls under buckets while your little ones learn to explore. With our British summer comes the odd day (or two) of rain, but it’s the perfect opportunity to ignite playful imaginations and while away the hours den building. The best part is you can keep your design super simple or go big and bold. Tip: Little architects can draw their den before building it. They’ll love seeing their idea come to life! To get started, locate a suitable area in your home. Behind a sofa or under a table provides an easy framework for your den, but you can also make the most of unused alcove spaces or an under the stairs cupboard. Find some large blankets or sheets to create walls and use laundry pegs or ties to hold your structure in place. Tip: Add a pop up play tunnel as a secret entrance to the den and a GoGlow Tilt Torch for night-time play. 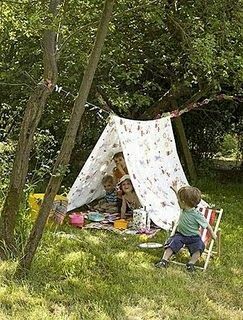 If you have some long poles you can create a Wigwam fort – perfect for a toddler and teddy tea party. Gather four or five poles, tie them together at the top and wrap a large blanket or sheet around the frame. Tip: Use plain, light coloured sheets as your wigwam cloth and encourage your little one to decorate it with paints and materials from their craft box. Do you have ideas for wow play spaces? Share your suggestions and top tips with us here. If your little ones are bursting with energy and fun ideas, then explore our full range of Kid Active products right here.